The River City String Trio, formed by violinist Amanda Ellerbe, cellist Naomi Steckman, and harpist Grace Bauson, performs throughout Richmond, Virginia and surrounding areas. The trio offers a variety of musical styles to enrich each special occasion. Listen to the River City String Trio perform popular wedding requests. To learn more about how music enhances the wedding ceremony, visit the Weddings page. 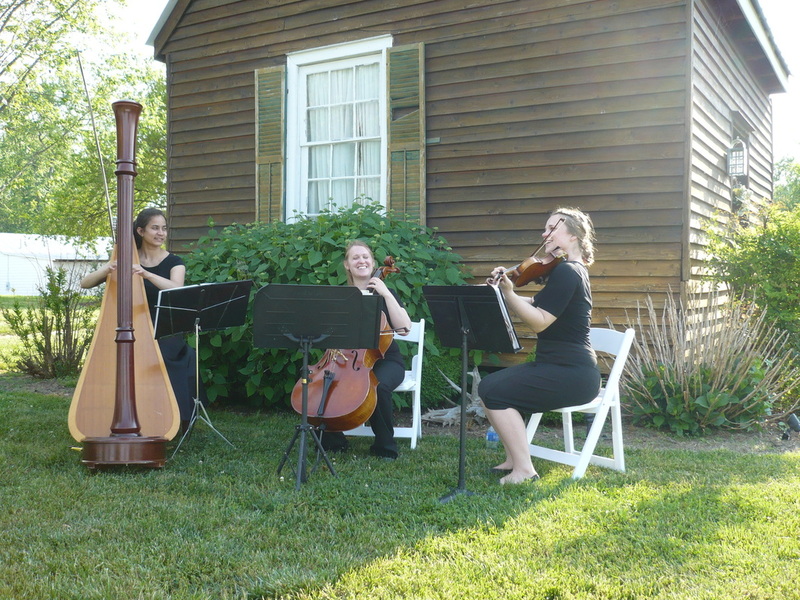 Performing for an outdoor wedding at Clay Hill Garden Events in Vale, Virginia. *Don't see your favorite song on the list? Ask if we can arrange it!